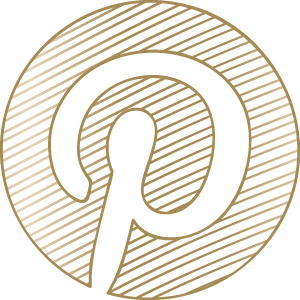 If you’re a winter bride, I’m sure you’re busy planning every detail of your big day! I was a winter bride myself and despite the dress shopping challenges that came with the season, I would have it no other way. 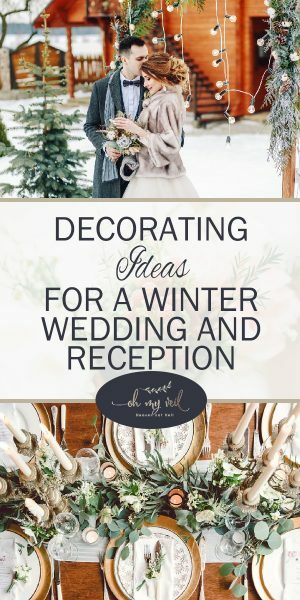 I think there’s just something so magical about a winter wedding and reception! It must be something about all of those twinkling lights and snow. I worked incredibly hard on my wedding decorations (fortunately, with the help of my bridal party and my cool Mom!) and they were the favorite aspect of my wedding. Good decorations really create an incredible atmosphere. 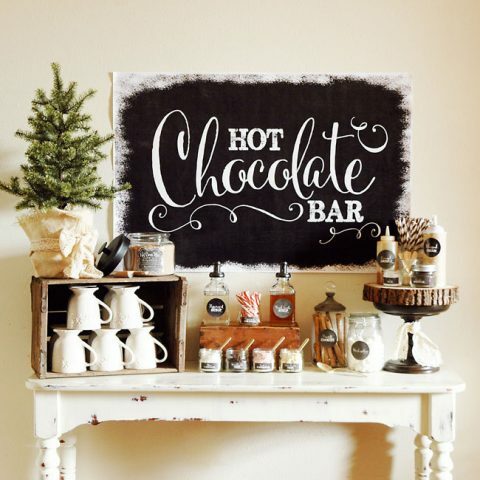 If you’re a winter bride, sweep your guests away with these decorating ideas for a winter wedding. 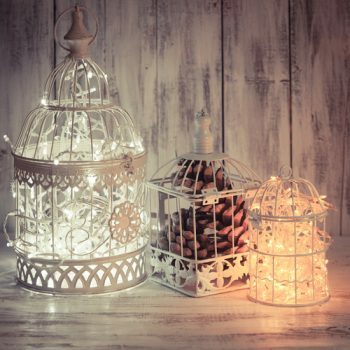 Fill lightly colored bird cages or lanterns with strings of Christmas lights, and pinecones. The pinecones add a pop of neutral color to the decor, while the Christmas lights add that twinkle I mentioned earlier. A great place for these would be on the gift or guestbook table!